Playing online poker has become boring as to win you need to constantly change so that the bots cannot learn your movement. While doing this can sometimes be profitable it has become labourious. So recently my attention has turned to the ever interesting battle between the blatantly ‘know nothing and proud of it crowd’ summed up by the title Fox News and the new challengers ‘The Parkland Kids’. The Parkland Kids are basically those who cannot see any reason why we should hand planet Earth to a seasoned in blood group of plutocrats who do not want to end the kerching of the cash register for the sake of people dying. Fox News are those who are still getting over the fact that a non-white guy got to be President of the United States of America. 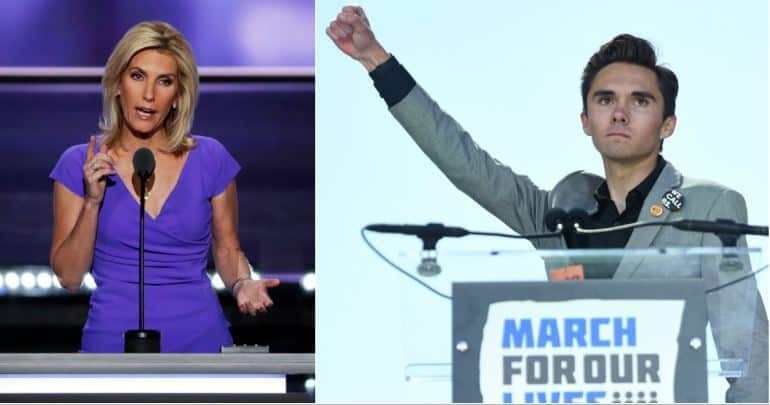 The battle got started when people like Laura Ingraham and her type attacked The Parkland Kids because they turned a tragedy into a positive and decided to take on the National Rifle Association. While they attacked the children they forgot the first rule of battle never engage an opponent who has nothing to lose. The Parkland Kids have been to the other side and they now want to change the future. While the Fox News brigade believe that they can take the country back to a time when blacks and women knew their place, gays were firmly in the closet and education was for the elites. The problem for the Fox News brigade is that their public face are people like Donald Trump, Laura Ingraham and Ben Carson. While The Parkland Kids are led by David Hogg, Emma González and Naomi Wadler. The vision is stunning. With a powerful bankroll and a history of deflection, denigration and denial The Fox News brigade will try and destroy these youngsters, but, they may fail as The Parkland Kids can do what the child did in the tale of the “emperor’s new clothes” and call out the concept that the NRA and their agenda does nothing for those who want a good life and a just society. It maybe a dream that these kids can change the World but at least those who have failed to stop the nonsense of Thatcherism/Reaganomics for the last 40 years can have hope that it can end the attempt to rehabilitate fascism and start to roll back the climate change denial agenda as espoused by the right wing baby boomers. PokerKnave's Blog Ben Carson, David Hogg, Donald Trump, Emma González, Fox News, Naomi Wadler, National Rifle Association, The Parkland Kids. permalink.